We'll get back to our positivity-fest shortly, but I wanted to talk a little bit about Agents of SHIELD, and why it's not working. I know it has fans out there, but its viewership has steadily dropped since its admittedly wildly successful debut episode. I, personally, had expected to like the show a lot more than I have. However, it's not really working for me nearly as well as a TV show about SHIELD should be, and that is, I think, the whole reason it's not working: it's not a show about SHIELD, it's mostly just a generic genre show. Now, to be clear, there are some structural problems with the show, but those are problems that most shows face: the cast and writers need some time to find out what does and doesn't work in character interactions and cast chemistry, there are stories that are purely (and often boringly) establishing stories, it takes a while for a narrative thread to emerge beyond freak of the week stories, and all of the other sort of stuff that genre television in particular has to deal with. There is a long laundry list of fan favorite shows that had rocky first half-seasons or even full seasons. 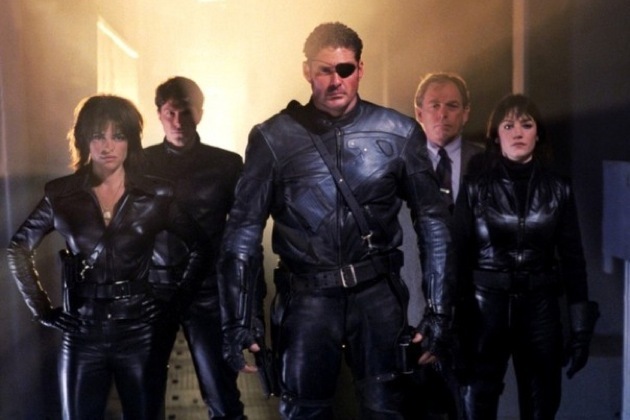 But one, in particular, provides a nice contrast for Agents of SHIELD, and a comparison may help to illuminate why I and many other folks I've talked to have had a hard time waiting for Agents of SHIELD to get good: Arrow. Admittedly, it could be worse. 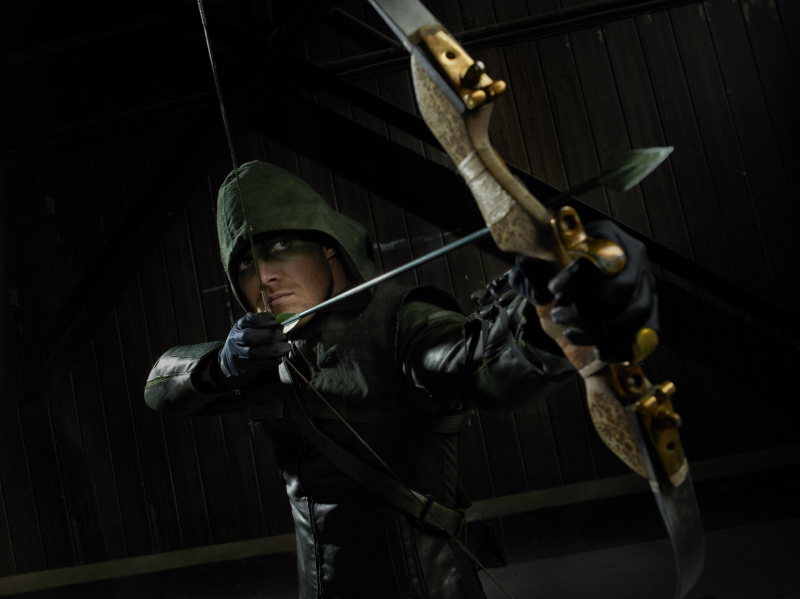 Arrow is the latest in a long line of DC properties turned into live action movies or shows by Warner Brothers. In the first half-season, it had an attitude toward its source material that is pretty common from DC/WB live action productions: mild embarrassment. Deadshot shows up, but he's just a really good sniper, not a guy in a costume. China White shows up, but she's just a random triad hitter. The main character is called The Hood, presumably because Green Arrow sounds too silly. Same thing with the Huntress. By the latter half of the season and especially in the second season, when they realized viewers weren't going to run screaming and they could get away with some of the crazier stuff from the comics, they started to use larger chunks of the comic book lore to create the show. However, in the beginning, they hid as much of it as they could behind oblique references. They had a slow pan as one of the first shots of the show that went over Deathstroke's mask on a stake on the island. 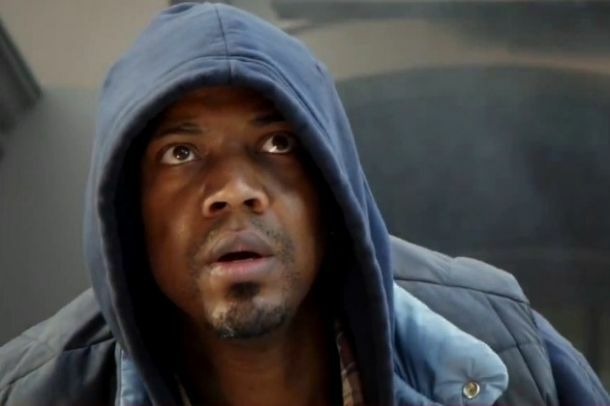 They named Ollie's partner after Andy Diggle and the streets of Starling City (Star City in the comics) were named after other Green Arrow creators. Slade Wilson shows up early on, and comic book fans know that he will eventually become Deathstroke, so it sets the hook for them. There are dozens of these kind of slight nods throughout the early episodes of the show, largely because DC/WB was so afraid they would drive viewers off by being too comic book that they only felt comfortable giving a wink and nod to fans. Agents of SHIELD has the exact opposite problem. Marvel is coming off a string of massive movie hits; they are understandably proud of their success in the live action arena, and they also understandably expect viewers to want to come along with the Agents. However, this pride has left them in an uncomfortable place: they want to wring as much money and exposure as they can out of their existing comic book properties, but they only know for sure that the movies work on that angle. Agents of SHIELD is a gamble for them, because Marvel hasn't been involved in a live action TV show since the early 80s. More importantly, it's a gamble because continuity from the show is supposed to be shared with the movies. If they introduce something on the show that contradicts what's being planned for a movie, or, more likely, what happens when a last minute script rewrite is needed, that's a problem. If they use a MacGuffin from an earlier movie that a later movie depends on, but do so in a way that requires script contortions, that's bad. Even little references used in the wrong way can end up as problems later on; while it would be cute to have a Col. Danvers show up as a SHIELD agent instead of USAF, that might present a problem later on for Avengers 3 or a Captain Marvel movie. Because of this, they have been incredibly reference light. The pilot had a few nods, but for the most part, there were as many oblique references to DC comics in the first episode of Arrow as there have been to Marvel comics in the entire run of Agents of SHIELD. Instead, they have new organizations like "The Rising Tide" and "The Centipede Group." Remember how, before the first episode, everyone was trying to figure which of the half dozen or so recognizable super strong black characters from the comics J. August Richards was going to play in the pilot? And then it turned out to be... just some guy? Same thing with "Scorch," almost certainly because someone writing a later movie had all of the existing fire-based characters reserved in case they needed one. With the exception of the scientist who later becomes Graviton in the comics, there have been almost no recognizable organizations or characters from the comics that didn't already exist in the movies; when Victoria Hand comes on board in a few episodes, it will be the first even semi-major character introduced through the TV series. Instead, it's a series of freaks of the week created for the show as the characters go off on globe trotting adventures, and you know what? I already have that show, and it's called Warehouse 13. Imagine your friend inviting you to a concert. It's a cover band, but they're supposed to be good, and it's free, and you like the band they cover, so you agree to go. You get there and sit down, and they play one or two songs by the original band. Turns out they're pretty good. Then they say, "Hey, now we're going to spend the rest of the show playing our original material." And it's... okay? It kind of sounds like the stuff you wanted to hear in the first place. Maybe it'll get better, and you're already here, so you might as well see. But you'd really like it if they'd at least mix in some competent covers of stuff you already like. That's what Agents of SHIELD feels like right now. Maybe, by the end of the season, it will turn out that Centipede is a HYDRA splinter cell and The Rising Tide is the recruitment arm for AIM. Maybe we'll see them start using characters from the comics. But right now, there's not really any of that, and they're not baiting the hook for longtime fans like Arrow did. And that's a shame, because I have no doubt they can make this a show that's great; there have been glimmers of that here and there already.